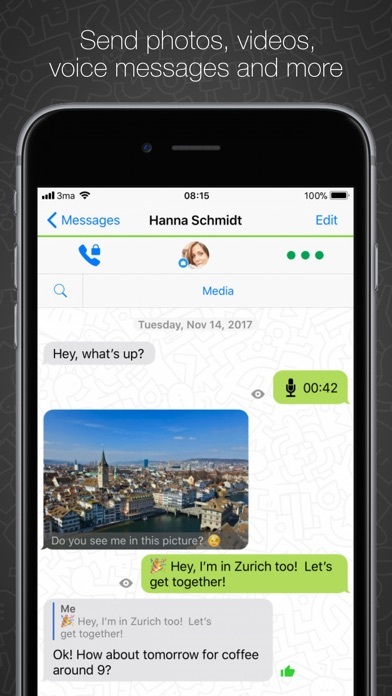 Threema is the world’s favorite secure messenger and keeps your data out of the hands of hackers, corporations and governments. 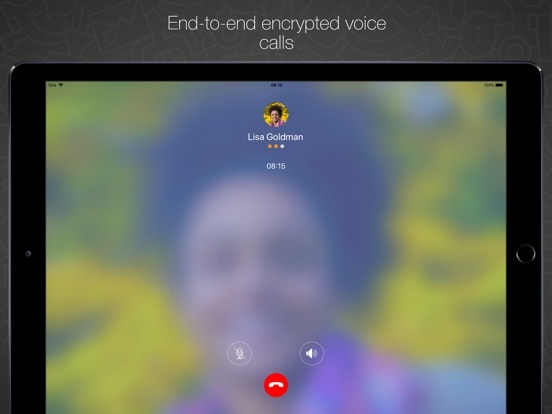 Threema can be used completely anonymously, allows to make end-to-end encrypted voice calls, and offers every feature one would expect from a state-of-the-art instant messenger. With Threema Web, you can also use Threema from your Desktop. Threema is designed to generate as little data on servers as possible – this is a core part of our concept. 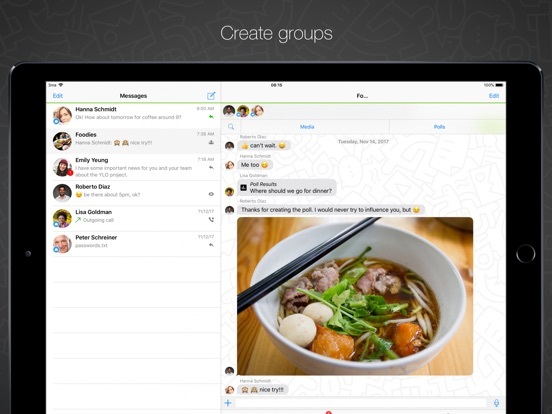 Group memberships and contact lists are managed on your device only, and never stored on our servers. 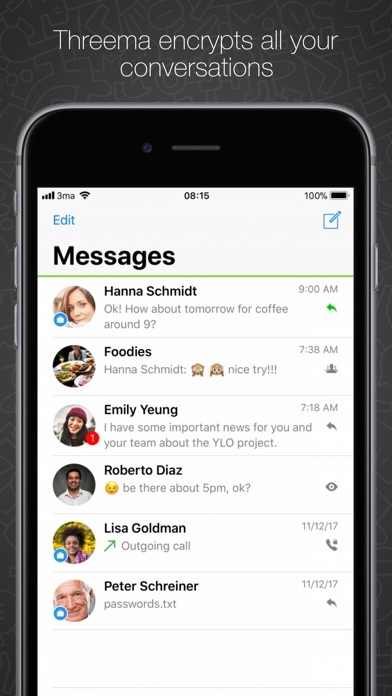 Messages are immediately deleted after they have been delivered. Local files are stored encrypted on your mobile phone or tablet. All this effectively prevents the collection and misuse of your personal information, including meta data. Threema is fully compliant with the European privacy legislation (GDPR). 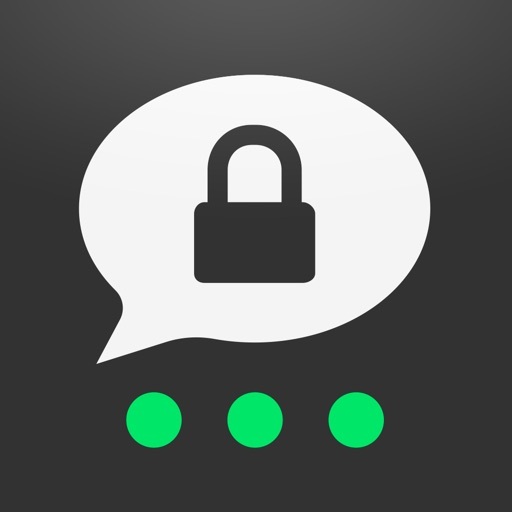 Threema encrypts ALL your communications END-TO-END including messages, voice calls, group chats, media files and even status messages. 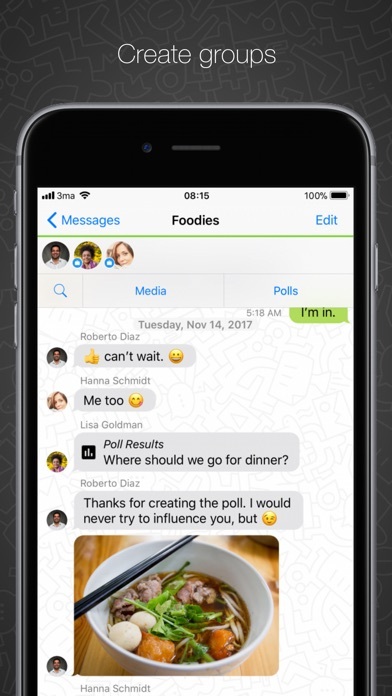 You can rest assured that only the intended recipient can read your chats, and nobody else – not even us. 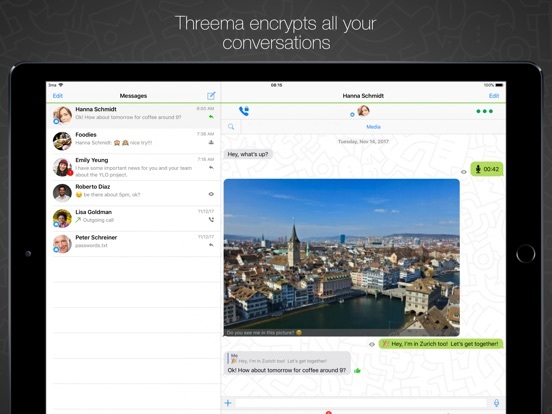 Threema uses the trusted open source NaCl cryptography library for encryption. The encryption keys are generated and safely stored on user’s devices to prevent backdoor access or copies. 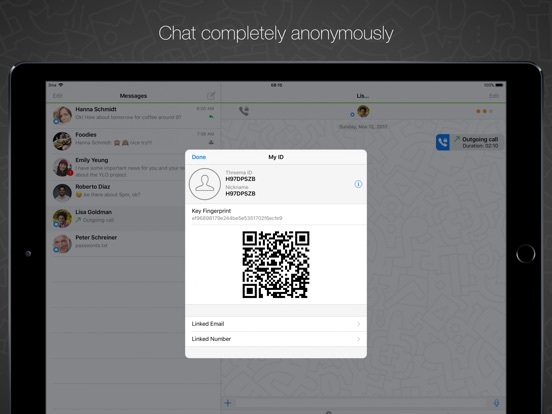 Threema is not only an encrypted and private messenger but also versatile and feature-rich. 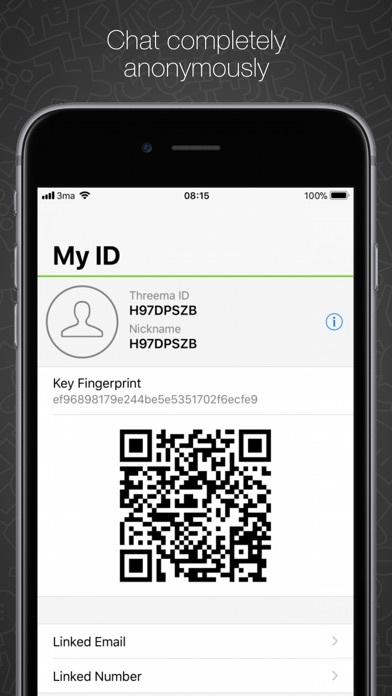 Each Threema user receives a random Threema ID for identification. A phone number or email address is not required to use Threema. 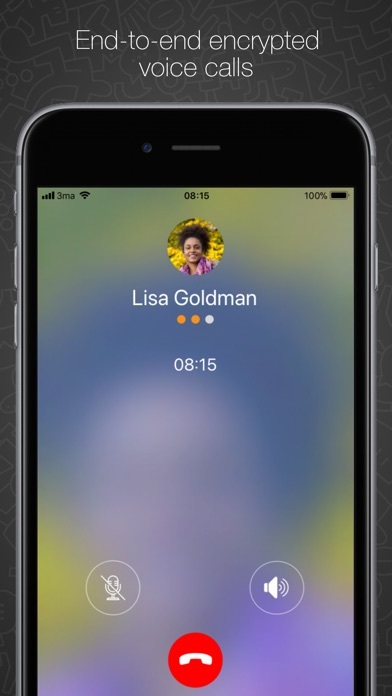 This unique feature allows you to use Threema completely anonymously – no need to give up private information or to open an account. We let users confirm trusted contacts with a QR code or a key fingerprint to prevent man in the middle attacks. We are a 100% independent and self-financed company in the heart of Switzerland with its own servers and in-house software development. Switzerland is a country with some of the most user friendly privacy laws in the world.